Steven Woloshen was born in Laval, Canada in 1960. For more than 30 years, he has passionately created over 50 award-winning, abstract films and time-based installations for festivals, galleries and museums. Twice nominated for Canada's Governor General's award, he has received numerous research and creation grants and, most recently, was awarded the 2016 René Jodoin lifetime achievement award, 2015 Wiesbaden Lifetime Achievement Award. 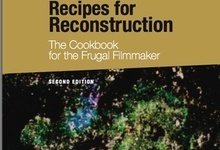 Woloshen is a teacher, film conservationist, animator, craftsman and the author of two books, Recipes for Reconstruction: The Cookbook for the Frugal Filmmaker (2010), a hands-on manual for decay, renewal and other handmade, analogue film techniques, and Scratch, Crackle & Pop! 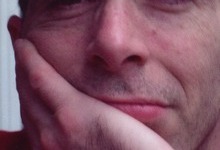 A Whole Grains Approach to Making Films without a Camera (2015). 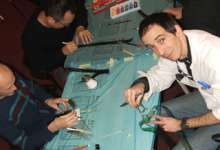 Under his own banner, Scratchatopia, Woloshen has hosted solo retrospectives and taught handmade filmmaking techniques at workshops and master classes in Argentina, Morocco, USA, Slovenia, Australia, France, Great Britain, Greece, Portugal, Spain, Slovakia, Poland, Mexico as well as across Canada.